Wonder if it does popcorn too? 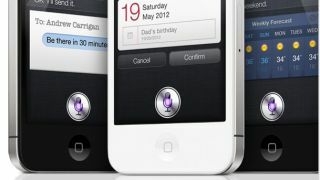 The upcoming release of iOS 6.1 could see Siri get some new smarts, including the ability to book movie tickets from your iPhone 5, new iPad 4 or iPod Touch. 9to5Mac reports that developers currently dabbling with the beta version of the iOS update have confirmed the ticket-purchasing function, which is powered by Fandango. The devs claim a user can book a cinema ticket by simply telling Siri the movie they want to see – although the feature will only be available in the US to start with. Although this all sounds rather magical, Siri will only take you as far as the Fandango app, with the tickets you requested on screen, but the transaction will still need to be finished with your fingers – bah! In true Apple fashion, Siri is going to be pretty smart when it comes to deciphering what you mean, with it able to understand phrases such as "two tickets to that new Pixar movie". We're just hoping that the feature gets pushed out around the world soon after it launches in the US, as other countries have sometimes had to wait quite a while to get certain features - such as Siri's location based searches..